Everton has completed the signing of exciting Nigerian forward Henry Onyekuru. The pacy 20-year-old has joined the Blues from Belgian side Eupen for an undisclosed fee, becoming the Club's third confirmed signing of the 2017 summer transfer window. Onyekuru, who has signed a five-year contract until the end of June 2022, joins on the back of a prolific 2016/17 season when he was the Pro League’s joint-top scorer with 22 goals. Born in Onitsha, Nigeria, Onyekuru joined the esteemed Aspire Academy aged 13 and spent five years at the Doha-based facility before linking up with Eupen. In his two years with the Belgian club, he averaged a goal every two appearances and leaves Eupen with the eye-catching statistics of 30 goals in 60 matches in all competitions. Onyekuru is a Nigeria international, having made his senior debut for the Super Eagles against Togo in June 2017. He is the third new arrival at Goodison Park this summer, following goalkeeper Jordan Pickford and midfielder Davy Klaassen, who were signed earlier this month from Sunderland and Ajax respectively. Onyekuru will spend the 2017/18 season on loan at Belgian champions Anderlecht, where he is set to further his football education by playing in the Champions League. Loaned back means we can disregard him for next season. Henry Onyekuru is unsure of a return to Everton in January, depsite putting up impressive shifts at Anderlecht. The Nigeria international joined the Toffees following his impressive display for Eupen last season where he netted 25 goals in 41 appearances. But he was immediately loaned to the Belgian champions. However, the striker is uncertain of a recall to Goodison Park in January. “I follow the path that is being drawn up for me. Wherever I go after New Year, I do not know either,” Onyekuru told Het Nieuwsblad. 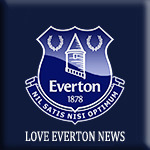 “Whether Everton has a contractual option to get me in the winter? Everything is possible. I'm their property, they decide.I have never said that I'm sure I'll leave Anderlecht. “The most important thing is here and now. I'm happy and everything is going well. “What's happening in winter, we'll see,” he concluded. Henry Onyekuru isn’t just a great young prospect by Everton standards, he’s one of the better up and coming prospects anywhere in Europe and clubs are starting to notice. According to Daily Post Nigeria, Barcelona, Ajax Amsterdam, PSV Eindhoven, Fiorentina and more have all scouted the winger in his latest game where he scored a winner for Anderlecht.